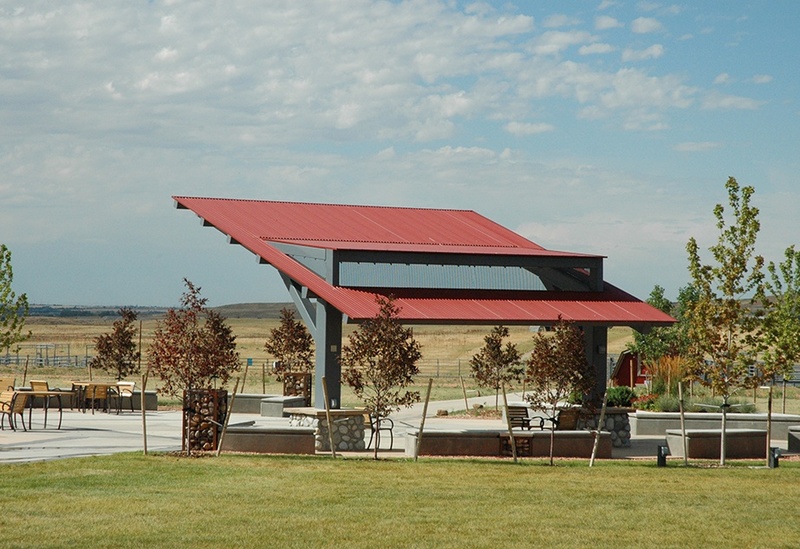 The Event Center at the Arapahoe County Fairgrounds and Park added a new outdoor event space in 2015. 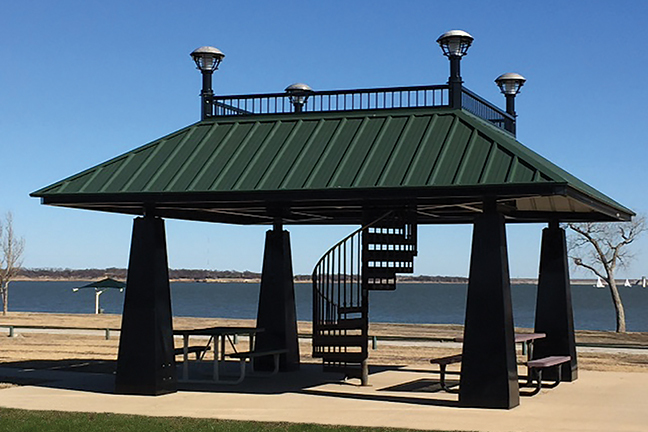 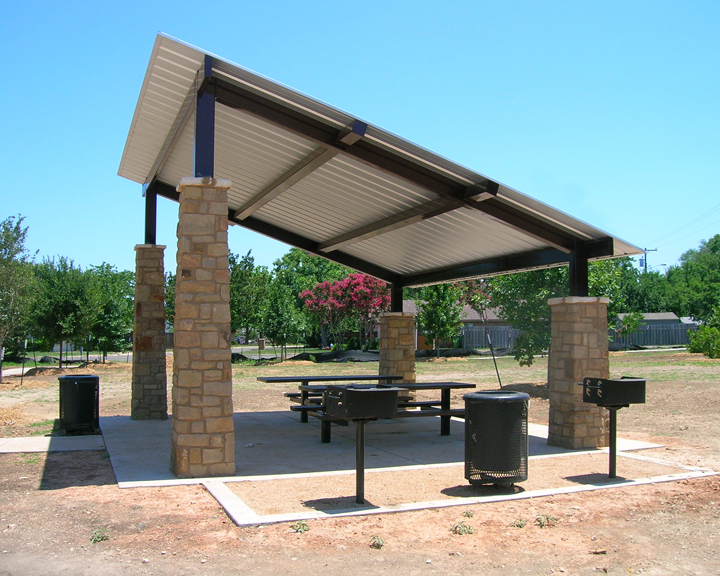 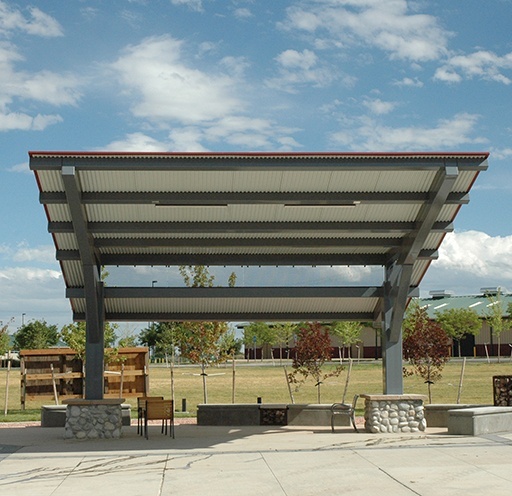 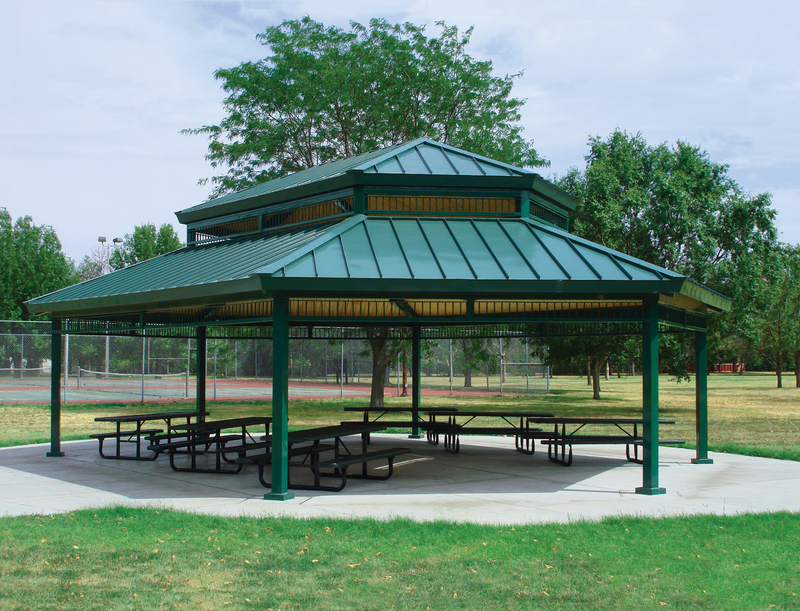 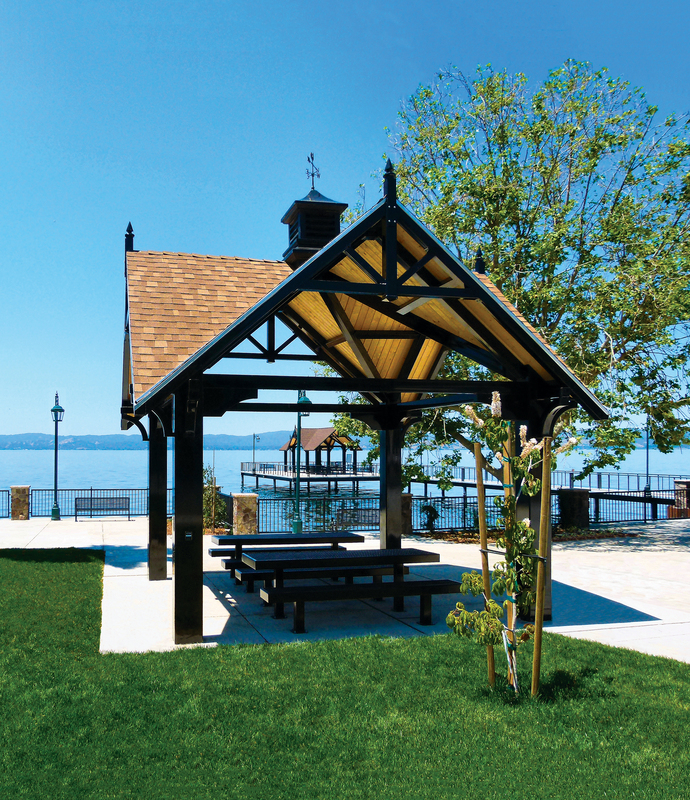 This custom 23’ x 24’ mono-slope shelter provides 552 square feet of shade and features a shed dormer filled with square steel mesh. 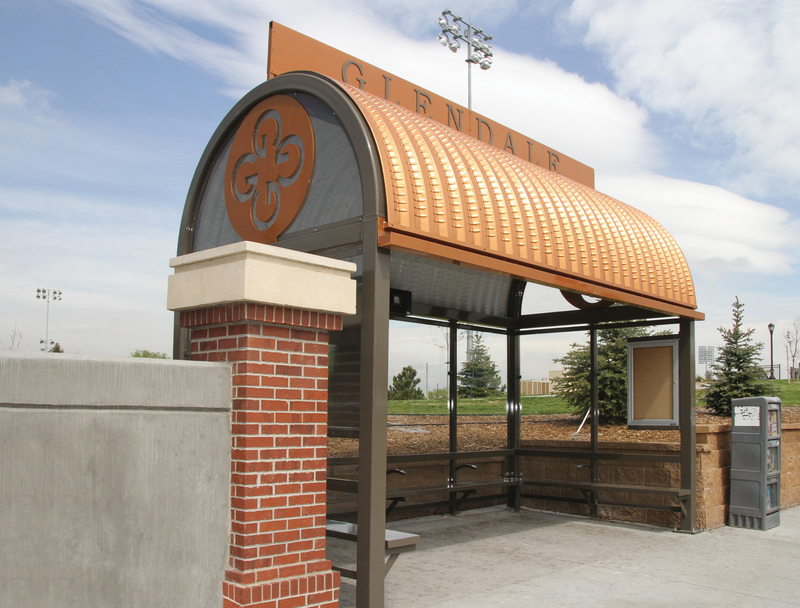 The design was by Design Concepts of Lafayette, CO, and the contractor was White Construction Group, Inc. of Castle Rock, CO. 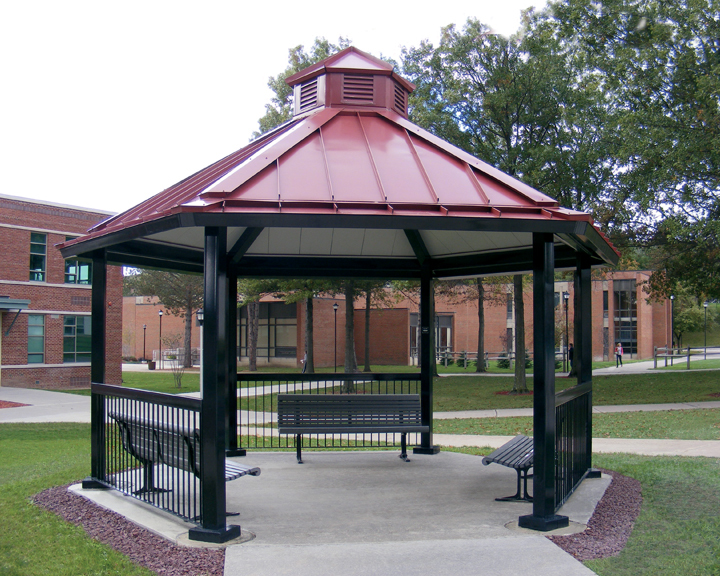 Features include: HSS14X14 tubular steel columns with cutouts for electrical installation, 26 gage Multi-Cor roof panels in Colonial Red Kynar 500 coating and 1/2” x 1/2” square steel mesh panels in the dormer. 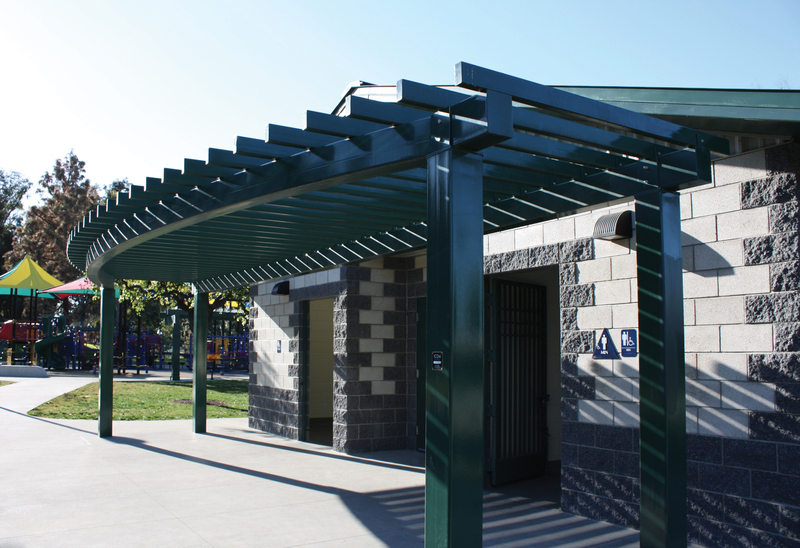 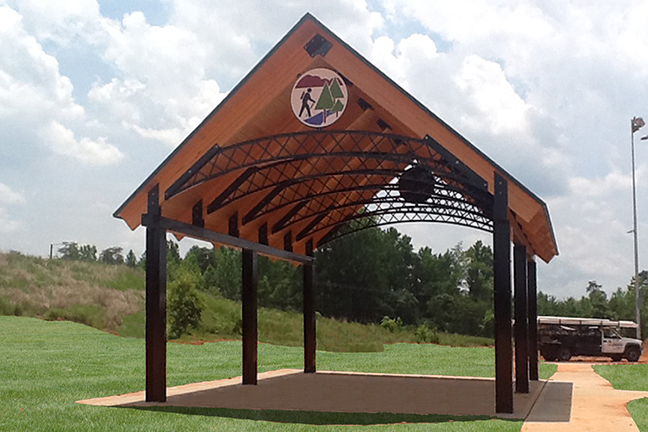 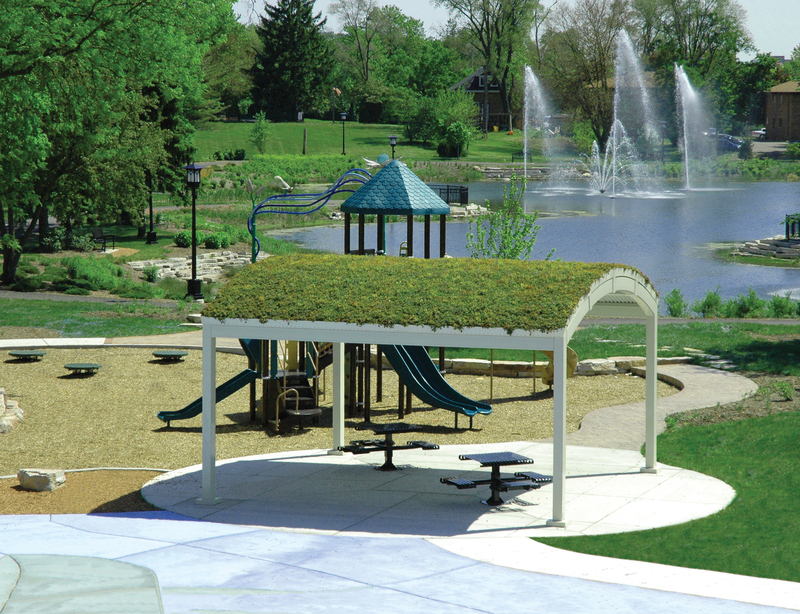 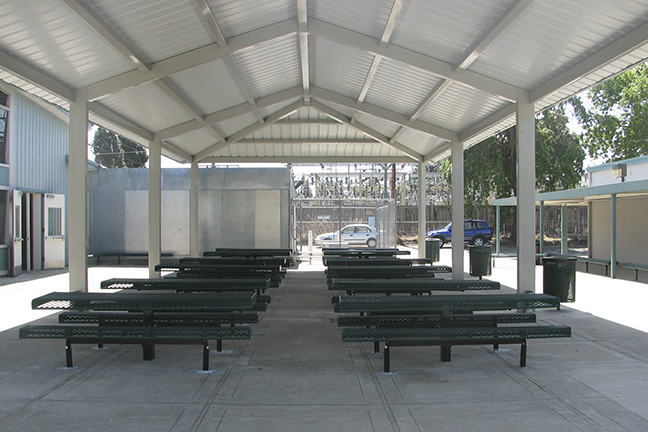 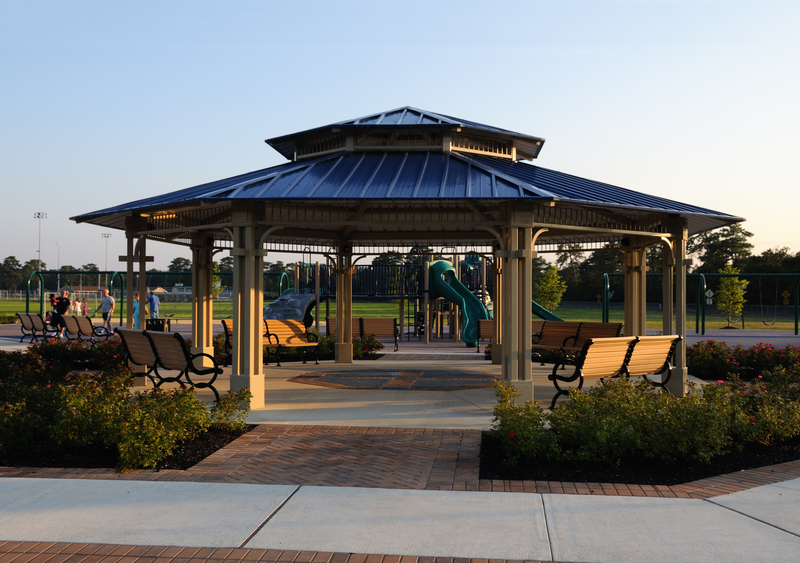 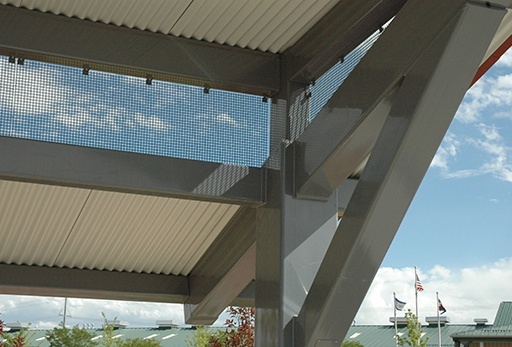 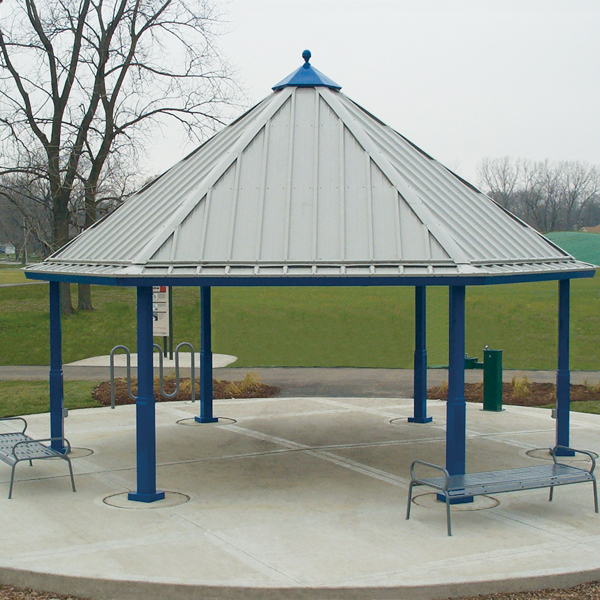 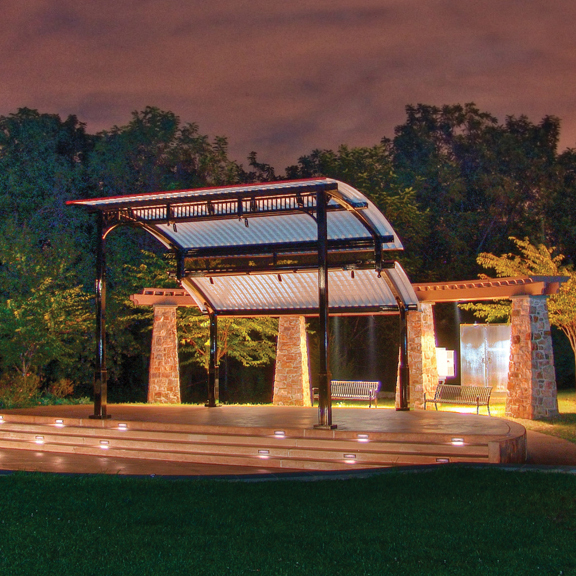 All steel frame members and mesh are e-coated and powder coated in Pedestal Gray. 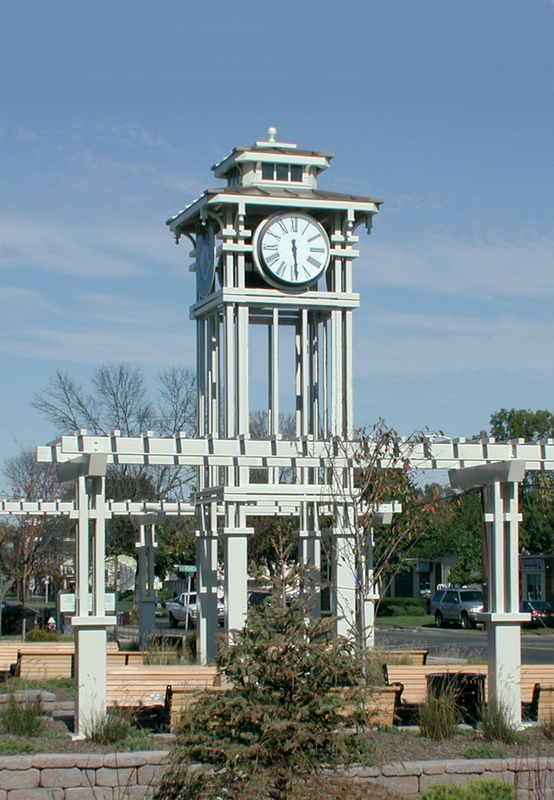 Stone column bases were by the contractor.